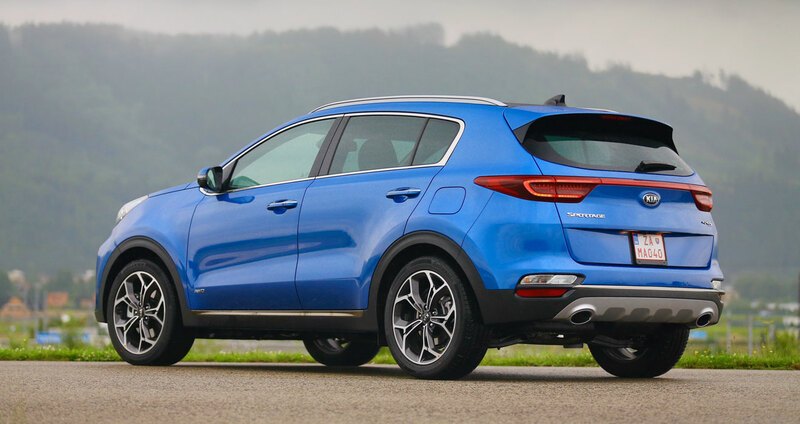 I’m not sure why the term “mild” became popular to describe less ambitious varieties of hybrid car, but it’s a good word to describe the Kia Sportage 48V. It has been given a modest upgrade in terms of electrical technology and has gained a reasonable amount of benefit in return. It’s not going to offend anyone – except for those who won’t like the fact that it’s still basically a diesel-powered, automatic, mid-sized crossover, of course. For the uninitiated, 48V stands for 48 volts, the electrical potential of the battery that sits under the boot floor of the mild hybrid Sportage. 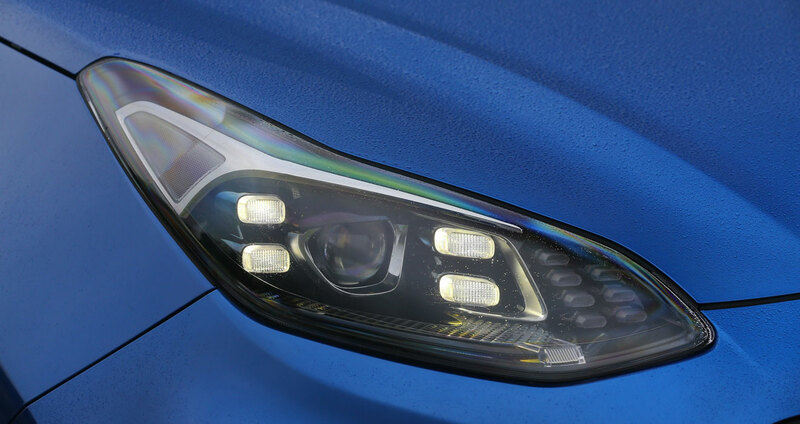 Kia is an early adopter of this technology, which is expected to see widespread uptake. Raising a car’s available voltage from 12 to 48 volts allows manufacturers to get some of the fuel-economy and emissions benefits of full hybrid cars, without facing all of the engineering issues that arise when you fit a battery running at hundreds of volts. Kia may be a Korean brand but the Sportage is built in Europe, in Slovakia. The current generation arrived in 2016 and has been given a light facelift to coincide with the introduction of the 48V variety. If you enjoy spot-the-difference puzzles you might like to work out where all the changes over the old model are lurking. In the hybrid edition, the interesting changes are all hidden away anyway. The switch to 48 volts has allowed Kia’s engineers to fit a more powerful electric motor than would be feasible with only 12 volts to play with. 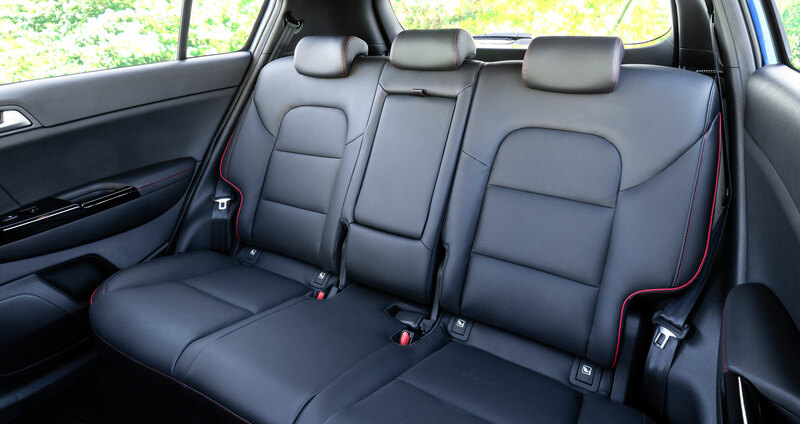 The most noticeable result is something you hopefully won’t actually notice – there’s very little noise and no vibration when the diesel engine starts up, spun firmly into life by the car’s starter-generator in a much smoother fashion than any ordinary starter motor can manage. The starter-generator is an electric motor connected to the engine’s crankshaft by a belt drive. It not only starts the engine but as the name suggests it is responsible for generating electricity whenever the hybrid Sportage slows down or brakes. 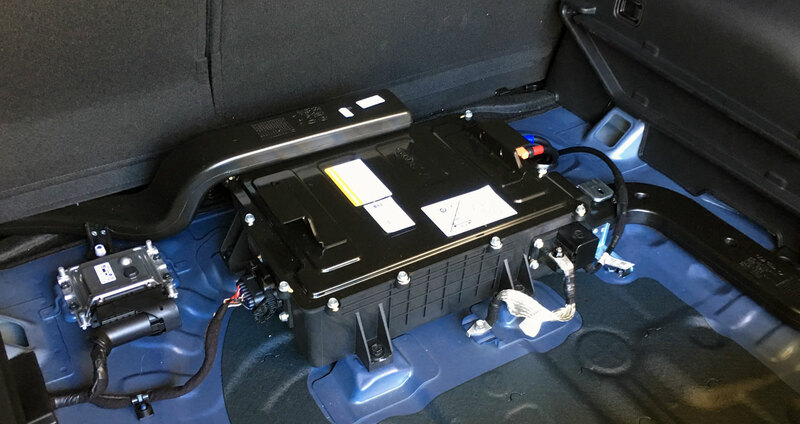 This power is fed to a lithium-ion battery fitted at the back of the car, under the usual boot floor. 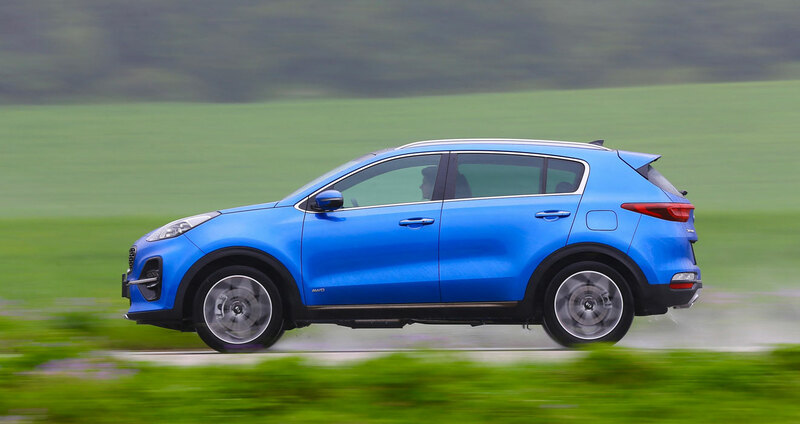 The name doesn’t suggest it, but the starter-generator can also assist the engine when the Sportage is setting off or speeding up, helping to save fuel and improve acceleration. The hybrid motor is paired with Kia’s 2.0-litre, four-cylinder diesel engine, which provides up to 182bhp and 400Nm of torque. The 12kW (16bhp) boost offered by the motor is relatively small and can’t last long – the lithium-ion battery in the boot holds 0.44kWh of energy, which means the motor running at full power could take it from full to flat in about two minutes. In practice, energy will flow back and forth between battery and motor without such aggressive extreme. Slow down a bit a bit and the battery will top up, or accelerate and the battery level will fall. 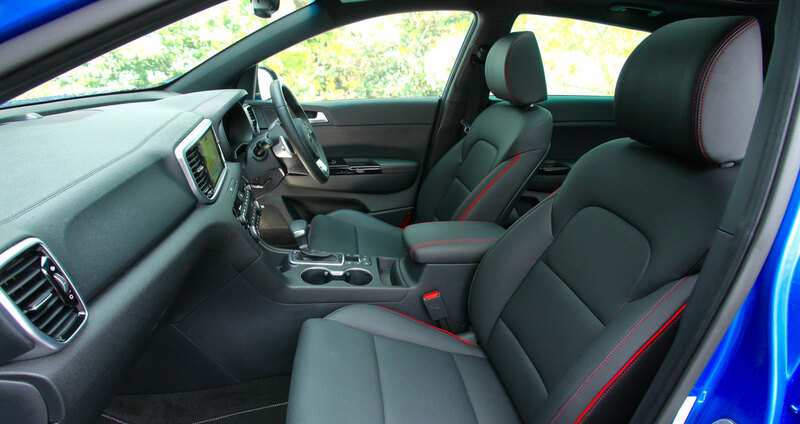 The car’s electronic management systems will also make sure the charge level is kept at a sensible point no matter what you do with the throttle, to preserve battery health. The 4.2-inch colour screen between the instrument dials can be set to provide an animation illustrating power flow to and from the battery, though I don’t doubt there are more relevant, safe and useful things to glance at while driving. The regenerative braking effect when the Sportage slows down feels quite natural – there’s none of the strong braking sensation felt whenever you lift off the throttle in some pure electric cars, such as BMW’s i3. Overall, Kia’s hybrid technology is hard to notice other than via the improved refinement of its smooth stop-start action, helping to avoid diesel gruffness. Indeed buyers are more likely to notice that they are running a hybrid through their wallet. 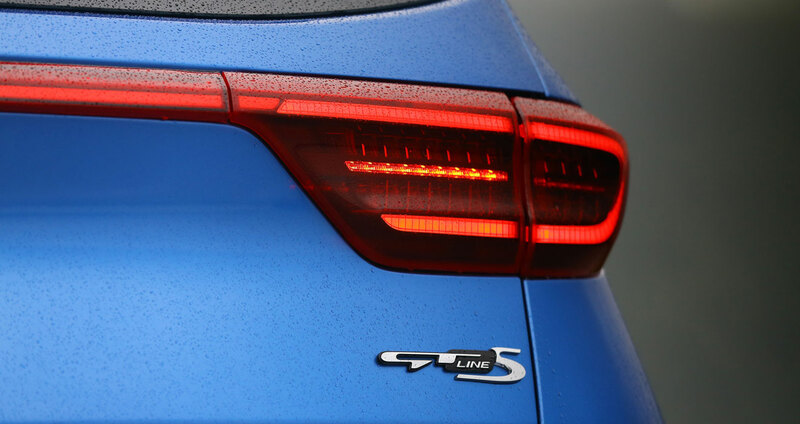 For company-car users, the EcoDynamics+ Sportage we tested, in GT-Line S trim, provides a CO2 rating of 152g/km, whereas the equivalent 2.0-litre diesel offered before hybridisation came in at 166g/km. The difference yields a 3% saving in Benefit-in-Kind (BIK) taxation, which translates to an annual tax reduction of around £415 for a 40% taxpayer. The lower-spec GT-Line hybrid comes in even lower at 141g/km. Kia says fuel economy should improve by about 4%, which may also be significant for drivers who cover a lot of miles. The mild hybrid Sportage in GT-Line trim starts at £29,995, while the more swanky GT-Line S version tested starts at £35,545. These prices throw the Kia up against some very well sorted opposition. Volkswagen’s Tiguan springs to mind. The 48-volt components add a modest 22kg to the diesel Sportage’s 1.7-tonne heft, which nobody will notice, though buyers may well grumble at the loss of boot space incurred by the rear-mounted battery, which means no space for a spare wheel. 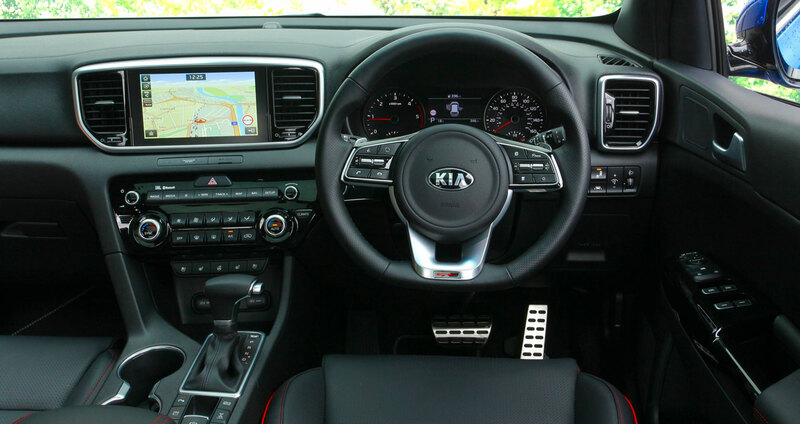 The hybrid Sportage also benefits from a new eight-speed automatic gearbox, which can be supervised via paddles behind the steering wheel or simply left to its own devices most of the time. The car I sampled featured a 360-degree Around View Monitor, supplementing the reversing camera fitted as standard across the range. This feature creates a bird’s-eye view showing obstacles around the car and appears automatically when reverse is selected. 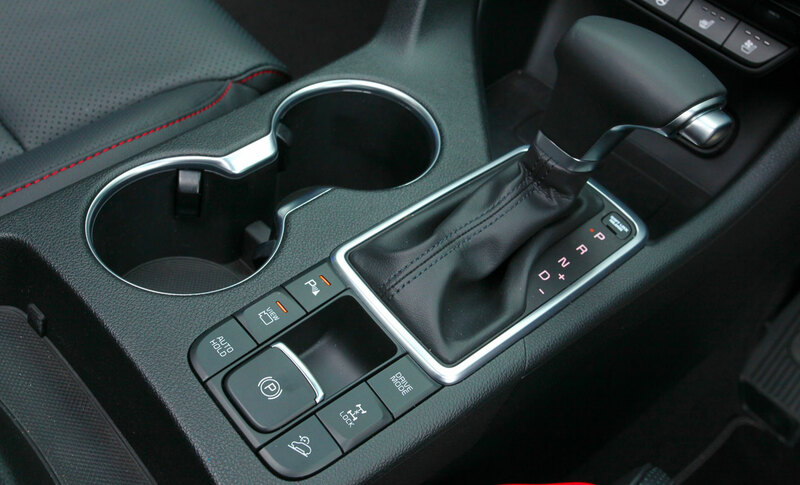 It can also be summoned by pressing the “view” button near the gear lever. The overhead view is especially handy should you venture off-road – the hybrid Sportage is after all an all-wheel-drive car. It also boasts a hill-descent function and a transmission lock for sending half the available torque to the rear axle, when chugging through mud or snow. 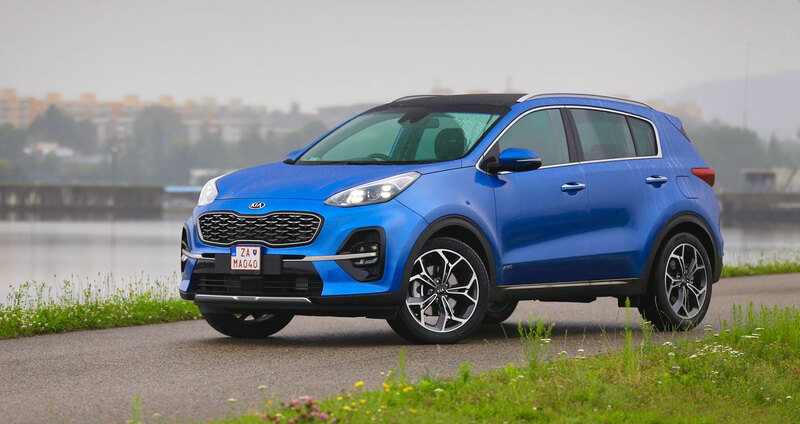 On tarmac or above 25mph, the Sportage will revert to front wheel drive unless slippery surfaces are detected, when up to 40% of torque can be sent to the rear wheels. Inside, a new 8-inch touchscreen features a TomTom satnav system, with Android Auto and Apple CarPlay support. Adaptive cruise control and emergency braking systems were fitted to the GT-Line S version I tested, while the instrument display also provided speed limit reminders gleaned through road-sign recognition. An upgraded JBL audio system with eight speakers was also fitted. One thing that hasn’t changed with the recent facelift is Kia’s seven-year warranty, which provides a welcome reassurance for anyone still worried about the reliability of hybrid batteries. A fairly high sticker price is the 48-volt Kia’s biggest handicap, bringing it into direct competition with some fairly impressive alternatives. But we’re sure to see this technology trickle down to more mainstream, affordable models in the near future.